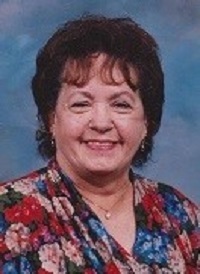 Harrietta Estella Keller,” Jadwiga”, 90, of Lusby, Maryland passed away on January 15, 2019 in her home. She was one of thirteen children born to Victor and Johanna Zak in Chicago, Illinois on March 29, 1928. She was the Matriarch of her family, who loved her children, grandchildren, great grandchildren and great great grandchildren very much. She liked to crochet, do crafts, cook and tend to her plants. Harrietta was a member of St. Paul United Methodist Church and the American Legion Post # 274. Beloved wife of the late Winfield Doyle Keller, she is survived by her children: Winfield E. Keller, Bruce E. Keller, Gary V. Keller, Kevin M. Keller, Karen D. Ahern, Daniel D. Keller and the late Norman Weston. Grandmother of 16, great grandmother of 13, great great grandmother of three, she is also survived by her sisters Jean Larsen, Lola Windt and Mary Windt and a brother, Edmund Zak.